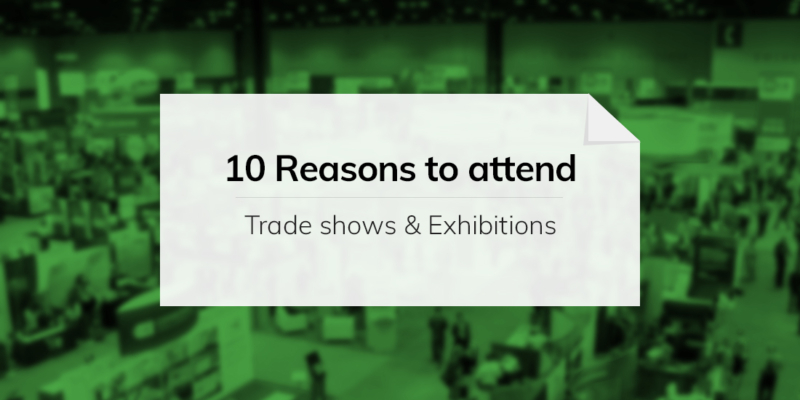 Importance of Exhibitions and Trade Shows - 10 Reasons To Attend! Trade shows and exhibitions are targeted at business owners, customers, and partners who are involved and are interested in that particular industry. 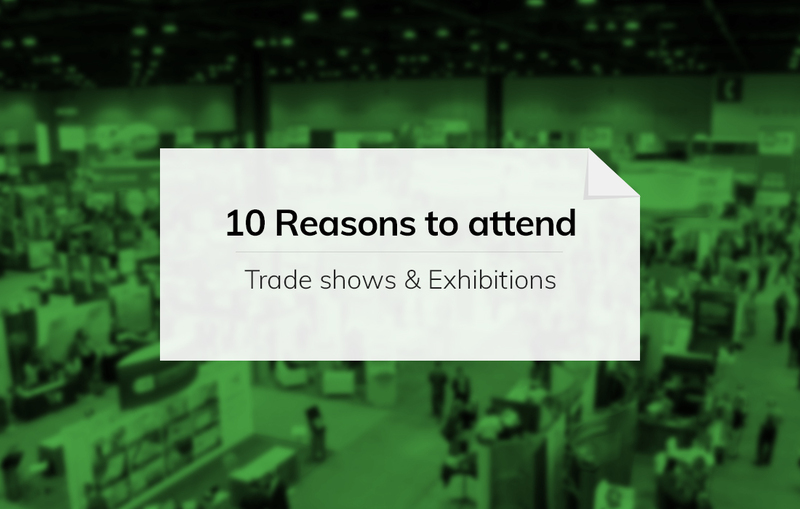 Here are the details about 10 Reasons Why You Should Attend Trade Shows & Exhibitions. Being a part of a trade show or exhibitions can give you the opportunities to branch out to other businesses in your niche. Importance of exhibitions is immense when you see its outcome. One of the most significant advantages of attending a trade show is that you get insights into the new trends, products, as well as resources in your industry. You gain knowledge and exposure about your niche. This way you are updated with the current trend in the market. It’s a great way to learn about what’s hot, and what’s going out of trend; this will give you an idea about how you need to steer your business right now. Trade shows will bring you waves of new ideas and creative ways to run your business irrespective of the economy and your earlier enterprises. You will learn a lot from the competition at the show, your experience and even from your participation; this will have a significant impact on the way to make decisions for your business. Meet other print shops and retailers who are in your business and from whom you can learn and make a business connection or partnership. You will not have this chance unless you attend a trade show. Get business insights of your competitors. Learn what your competition is up against without relying on your guesses and other internet tools as their business information is easily accessible. Evaluate how you compare with competition and in the industry. Find out your business strengths and weaknesses. Get press coverage which will, in turn, help you in branding and advertisement. However, you have to make sure that your business stands out so that the viewers remember you. Generate hot leads for both business partnership as well as potential customers. Collect business cards and get a directory of niche companies from other outlets. Create a list of contacts for your files and your business outreach. Opportunity to participate in seminars, networking events and the surveys that are conducted only at trade shows; this will expose you to new people, new businesses as well as new ways of thinking for your business success. Demos: Give your attendees hands-on access and experience to your products. Show your key selling points practically directly to your possible customers. This way, you leave a lasting impression on your attendees, furthermore, if your product is unique, you will be doing business in the future with your attendees. Save on travel costs by meeting with multiple partners, suppliers, and clients at one place. Become more educated about your industry so that you can better support your clients and partners using the resources from trade shows. Get answers to your questions right away as you communicate with your customers, competitors, suppliers, and clients directly. Find out what your business is missing and where you can grow.